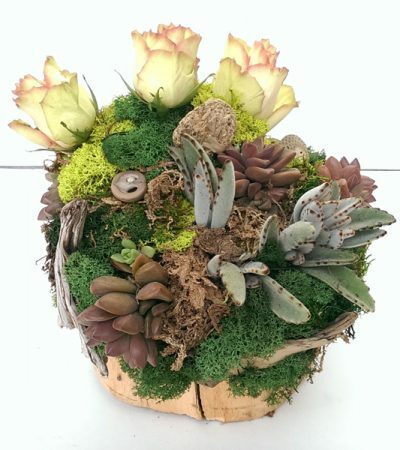 This was a fun project for everyone, as each participant was able to easily create their own professional looking work of art. 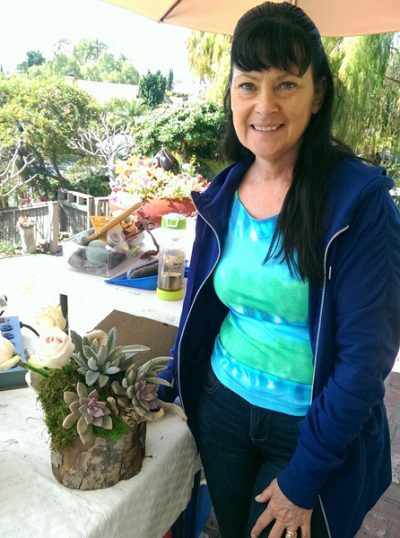 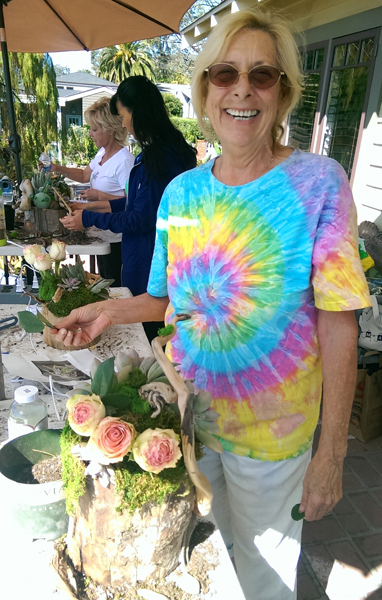 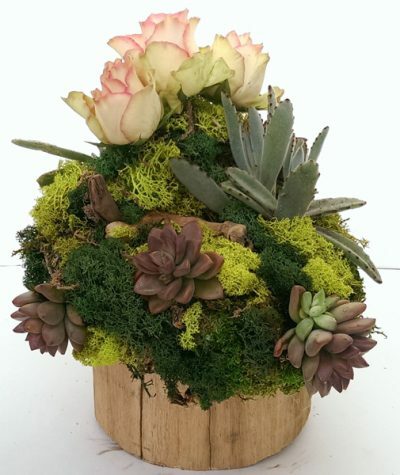 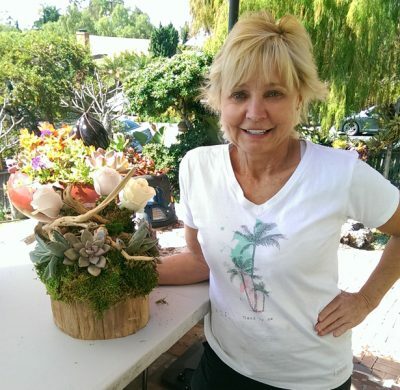 Some wanted their arrangements to be a miniature fairy garden design, while others preferred to create a decorative table centerpiece or simply make a living arrangement for their garden. 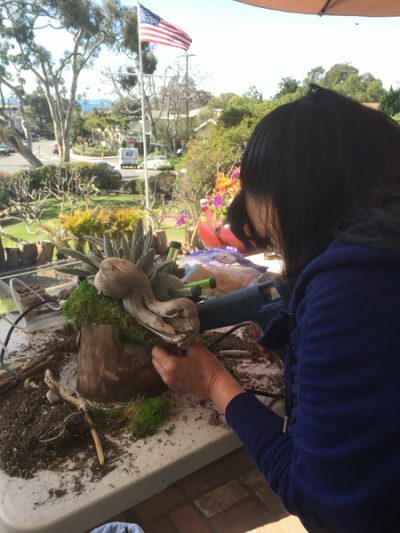 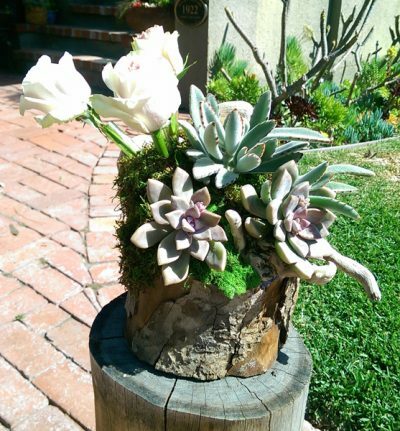 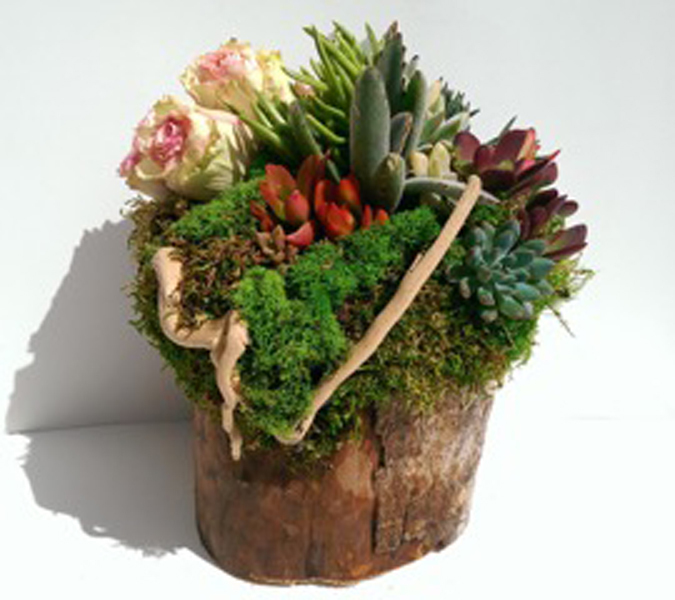 All of us started with the same materials… a re-purposed tree log, a knee-high stocking, potting soil and floral foam as the base for our arrangement. 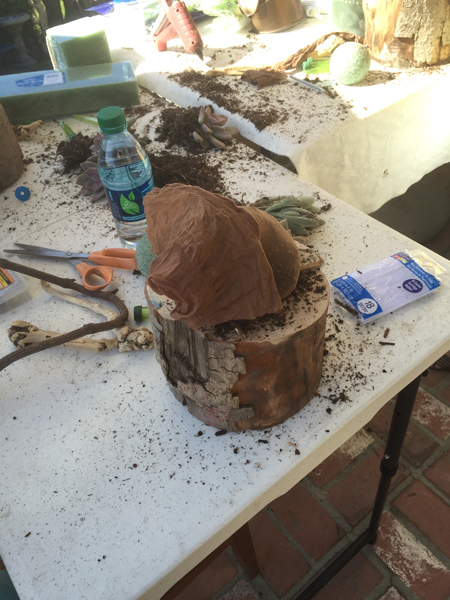 First, we filled the knee-high stocking with soil, then attached it on to the top of log base with the floral foam. 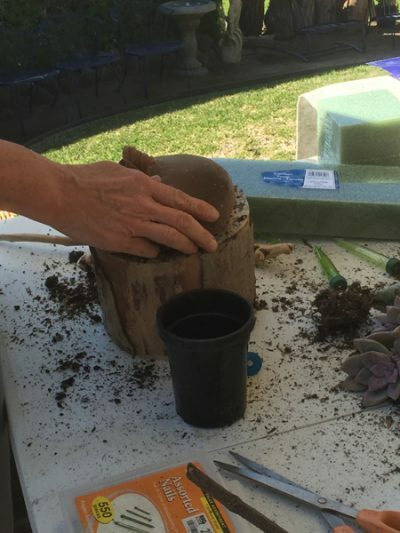 Each of us then sculpted the soil and foam into shape, creating the foundation for our ultimate design. 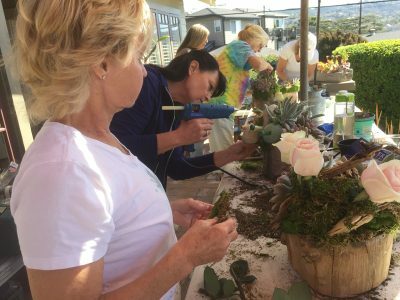 Next, we cut small holes into the knee-highs stockings containing the soil, allowing us to easily insert the succulents into the arrangement, followed by inserting the floral tubes into the floral foam. 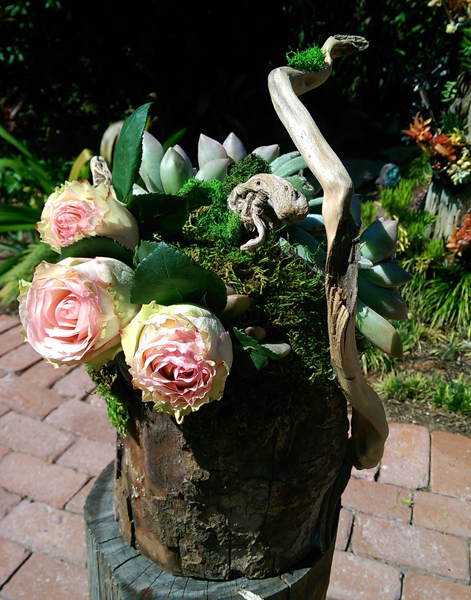 Nearing completion, we added decorative moss and inserted the cut roses into the floral tubes. 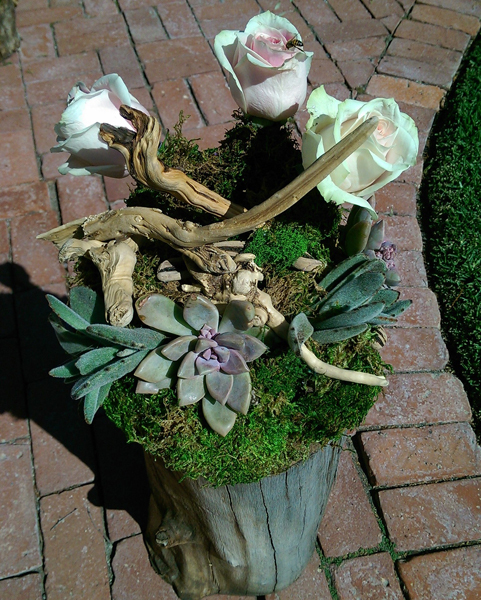 For the finishing touch, we added a small piece of driftwood. 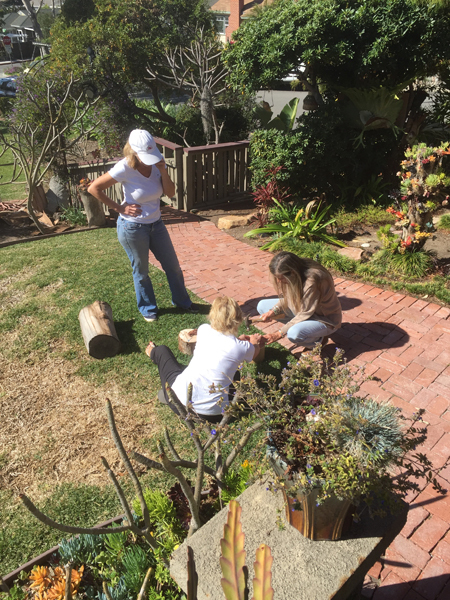 We were all delighted with how beautiful each of the individual Living Succulent and Cut Flower Arrangements turned out and how easy it will be to extend the life of these arrangements, just by replacing the cut flowers, as needed.